The TE37LG KRAIT Beadlock Wheel is heavy duty and designed to withstand abuse. It uses a 6-bolt design to assemble the wheel. KRAIT wheels are used in crawling and U4 rock racing, with many wins under its belt. XT6 Hub Series is Boom Racing's removable aluminum 6-lug hubs. 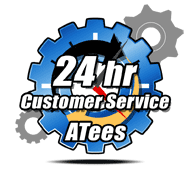 They are available in multiple sizes for desired width. 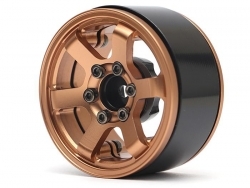 The Miscellaneous All TE37LG KRAIT™ 1.9 Aluminum Beadlock Wheels w/ XT606 Hubs (4) Bronze has an average rating of stars based on 4 customer reviews. Great wheels. Fit the Hustler tires with no issues. Very easy to install beadlocks. Im very happy with them.